Let’s start this off right, who are you and what is Minit? 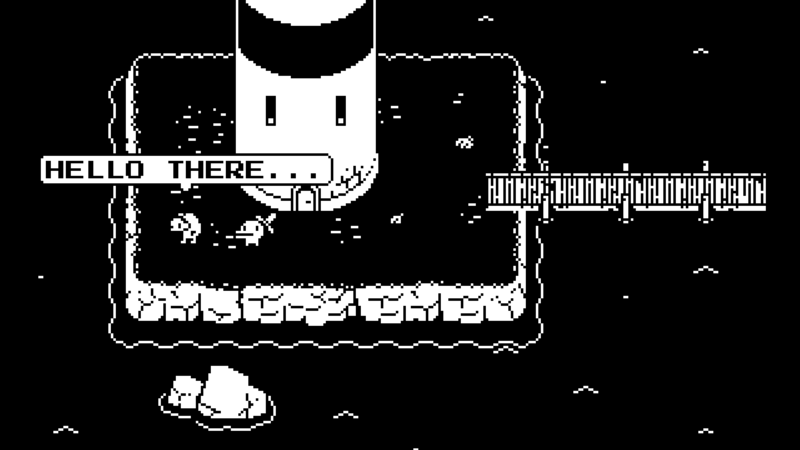 Minit is a peculiar little adventure played sixty seconds at a time. It's a collaboration between Kitty Calis, Jan Willem Nijman, Jukio Kallio & Dominik Johann. Minit is loosely based on a jam game you made a few years back called Adventure Minute, why did you want to revisit this time mechanic? Honestly, the concept has always stuck, and we wanted to take that to a whole new level. 1 button, 2 colors and only 60 seconds that is. You’ve both worked with other teams and studios before, why did y’all want to work together? After wrapping up bigger projects like Horizon Zero Dawn and Nuclear Throne, a small game seemed like a no-brainer. But teaming up with Jukio and Dominik is where the magic truly happened! In both the game and on your page you highlight each member of the team rather than a catch-all team name. Why was this important to you? Minit is all about the team, there is no chef mentality, and no team name. Because let's face it, if you swap out any of the team members it would have been a different game. Where did you draw inspiration from for Minit? Did you find anything outside of gaming? Inspiration came from all kinds of things: from places we visited, to people we met, to stressful moments we experienced. Another big influence was videogame tropes, why would anyone even pick up a cursed sword from the beach? The whole team has worked in gaming for a while, do you have any advice for newer devs? Finishing games really matters! No matter how small the project, the last bit is always the hardest. You'll learn more releasing a 1-day jam game than by spending months setting up a giant project. What did you learn while making Minit, and what of that can you share with our readers? Having restrictions has been really motivating. Find a way to connect your creative skills with limitations. Don't think I can say it yet, but keep an eye out! We pay $9.99 and only get to play it for a minute? You can play for as many minutes as you want, just one minute at a time! Awww, someone downvoted it. It wasn't clear it was a joke? The game looks cool. I was annoyed there wasn't an easy to find link in the article though.